I had a day around the usual sites yesterday - Thames Barrier Park and the O2 specifically; something seems to have happened at Lyle Park with the factories for the time being not pumping out stuff to attract London's larids. 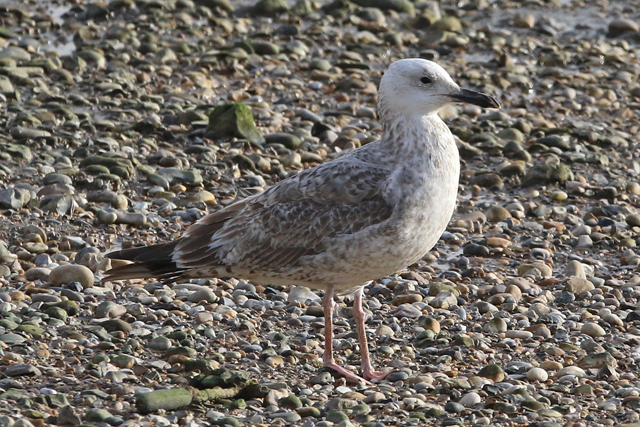 So focusing on just the two sites between 10am and 3.30pm (the low tide period), Dante and I had a decent day with 4 Caspian Gulls (all new individuals for me - two 3rd-winters and two 1st-winters, including a German ringed bird) and similar numbers of Yellow-legged Gulls. Ring wise, there were a dozen birds in total - half being local, a German Caspian Gull, Lithuanian and Berkshire ringed Black-headed Gulls, two west country ringed Lesser Black-backed Gulls and a Norwegian Common Gull (that I'd seen at Wanstead a couple of weekends ago). 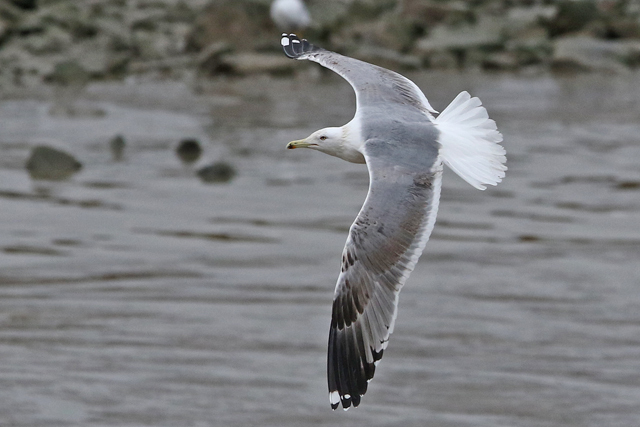 A more pale-eyed third-winter Caspian Gull showed up mid morning, and was then present on and off for the remainder of the day - really scruffy looking on the deck, but more advanced than Oleg, the bird above. 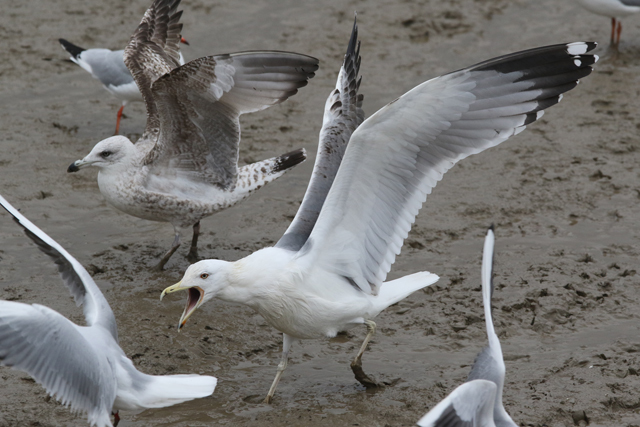 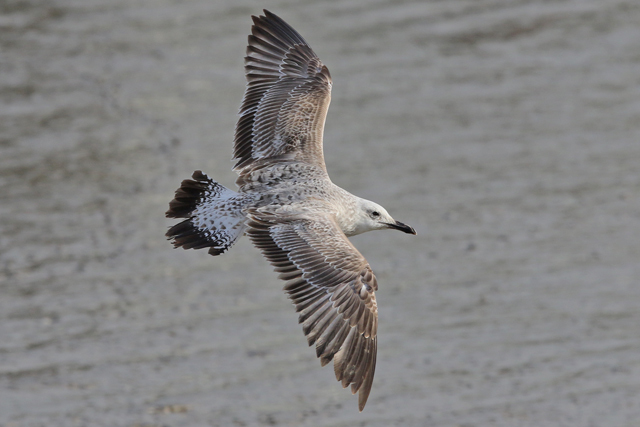 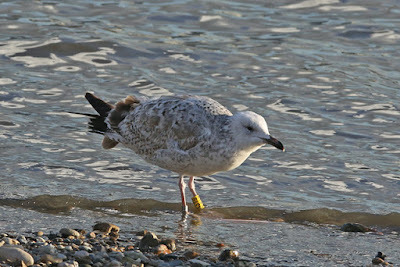 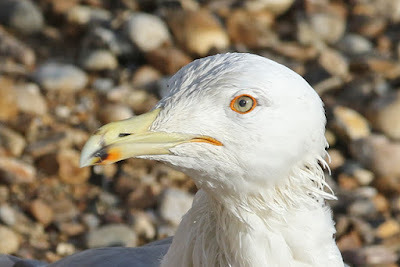 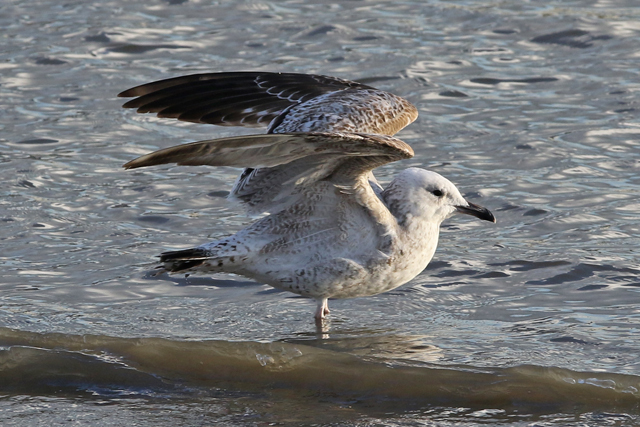 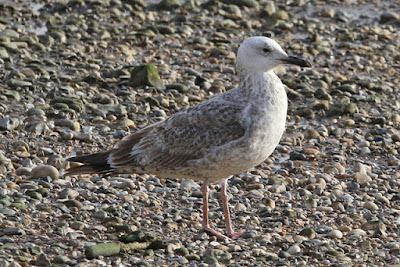 Then, just as the bread was running out - and it wasn't as if we'd come unprepared as over a dozen loaves must have been thrown throughout the day - this German-ringed Caspian Gull turned up at Thames Barrier Park. 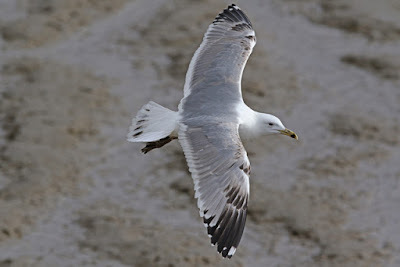 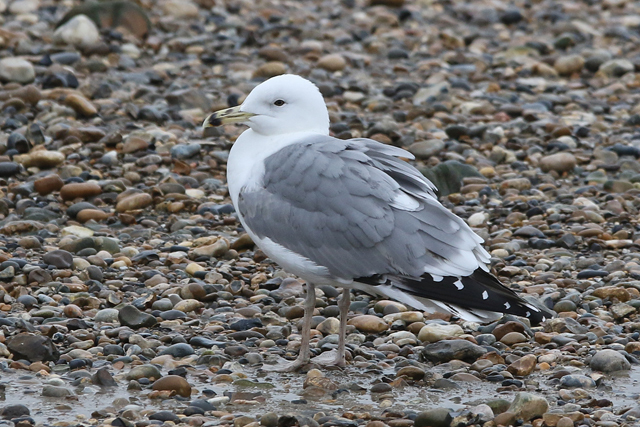 This bird was seen by David Campbell at Beddington on 16th January 2017, having previously being ringed at Grabendorfer See, Brandenburg, Germany on 6th June 2016 and seen on Terschelling, The Netherlands on 19th November 2016.